Spider map for Best Website Tools Site Map A list of pages included in this website. About Best Website Tips blog for a popular, profitable and successful online business. Tools, tips and techniques to design, build and market your website. Contact us form, Thank You for using the Best Website Tools. Exchange Links with Best Website Tools for a popular, profitable and successful online small business. Tools, tips and techniques to design, build and market your website. Marketing tips Internet and Network Marketing, Learn how to create income streams with website tools, tricks, methods and techniques for your online business or social network. Category Rss Turorials are about building and publishing your own blog the way you want it. See how to use Easy Blogs to develop an SBI website, Internet marketing or super blogging. platform. Category design and development ideas and tools for building a small business internet website. Website Blog for Best Website Tools. Get tips, tricks and techniques for building and designing mobile apps and websites. 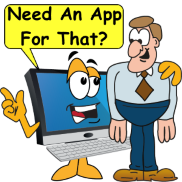 Great tools that add professionalism and class to your mobile app or website. 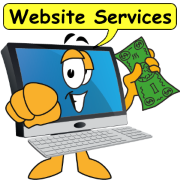 Website services for online business include consult, design, build and marketing. Packages include search engine optimization and submission. Specializing in affordable rates and responsive designs. Website packages include design build, develop and host your ecommerce online business. 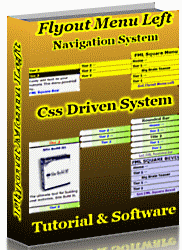 Flyout Menu Left a CSS based navigation system loads into any website. Create mini navbars customized the way you like. Cool Tools to build website traffic and online business. Cool Tools help to build your website, credibility and improve your conversion rate. In online business, you need the best website tools and techniques to build your Internet presence. Graphical opt in templates, come already laid-out, just replace the text with your headline, text and form info for a professional, high quality lead capture page or minisite. Spider Map also known as sitemap for Best Website Tools included pages. Cool Tools 2 build credibility with your visitors and boost your online business, great website tools convert more people into customers. 3d Ecover Creator Pro graphical boxes ecovers, discs and pamphlet maker. Cool Tools add functionality to your website, allow more content and boost your conversion rate. In the world of online business, great website tools convert more people into customers. SBI Rss Tutorial for Easy blogs, blog launch platform. Learn how to put a dedicated news blog on your SBI website. 230 page masters course covers everything from building, marketing and publishing to all the techniques that you need to build a blog. Popup Generator with master resell rights. Website tool easily creates popups with multiple options and closing codes. Cool Tools 4 building website traffic and online business. Cool Tools 4 building your website, credibility and improve your conversion rate. In online business, you need the best website tools and techniques to build your Internet presence. Site Build It is a collection of website business building tools and wysiwyg editor, design and build your own website. SBI Rss Articles and tutorials teach you how to use the Easy Blogs software and its applications. Announcing SBI Block Builder 2 the all new website, online business builder from Site Build It. Easily create or expand your own online business with SBI BB2. SBI Rss Blog learn how to put an easyblogs launch platform on your SBI website. Html and CSS templates available. SBI Rss Tutorials - learn how to put a blog launch platform on your website. Includes templates for all websites especially Site Build It. SBI CSS template 3 column templates for SBI and Easy Blogs. Learn how easy it is to use, step by step graphics and illustrations about using the software. SBI EasyBlog templates for SBI Rss tutorial. Learn how easy Easy Blogs is to use, step by step graphics and illustrations about using the software. SBI lookandfeel template for SBI Rss tutorial. Learn how easy, Easy Blogs is to use even with css custom templates. step by step graphics and illustrations about using the software. affiliate program to earn commissions and residual income for your online business. Se how Affiliates market their website to can earn monthly incomes. SBI Affiliate Program -5 Pillar Club by Site Build It earns residual income on first time and renewal packages. Two teir affiliate program can earn 5 figure monthly income. Start today! SBI about me and Easy Blogs for Site Build It. Why I wrote the SBI Rss Tutorial and made the website templates. Learn how to put a blog launch platform on your SBI website. Affiliate programs, marketing tips, news and information to help you create revenue streams with Internet marketing, using your website or social network. SaleHoo wholesale and dropship supplier directory for online retailers. Find dropshipping and wholesale suppliers world wide for your business. In an affiliate marketing business you drive traffic to a merchants product and receive a commission on every sale. A step by step tutorial to earn massive income. Case studies and Testimonials from happy SBI website owners. See how these entrepreneurs built their online businesses with Site Build It. Local business websites get more customers than a traditional store does. Right now your customer is doing an Internet search online for goods and services. With a website customers can find your business first. Meta tags optimization a tutorial for higher search engine ranking. Learn how to optimize your keyword and descriptions for better results. MLM Secrets to Success. Mini ecourse leads you through the steps you need to succeed in network marketing. Learn the secrets to pros use to build their downline fast, automate an online business and dominate the market. The MLM industry secrets revealed. The truth about The 7 Great Lies of Network Marketing. Learn how to succeed in Internet Marketing. Find out what your upline won't tell you. News blog tips and ideas to write about. Great ideas for when you don't know what the heck to write. Work at home solution, for laid off engineer, who now earns a living with his own online business website. See the power of a Site Build It to build your own Internet success. These well written masters e courses teach you how to control and dominate at online business. Easy to read e-books cover basic and advanced information required for internet success. The Net Writing Masters Course e-book is here to help you write better sales copy. Learn how to use the right information to build traffic and convert visitors into customers. Make Your Price Sell Masters e-course shows you how to find the perfect price for your product. Are you leaving money on the table? Find out if your product will have enough customers. Home based Webmaster Business Masters course covers developing a business plan, targeted marketing, pricing of services, effective communication, attracting clients, winning contracts and more. Learn why ebook writing is the best way to promote, publish and market your ideas. Tools, tips and techniques the pros use to create popular profitable ebooks. Ebook Marketing Revealed - How to Write, Publish and Promote Your Own Profitable eBook! Ebook Marketing Revealed e-course teaches you how to write, publish, promote and market ebooks. Learn hidden secrets marketing wizards use to create and profit from ebooks. eWriter Pro, pdf compiler, Now you can create stunning PDF Files. Create Ebooks fast, with simple point and click software. Order Now and Get Master Resell Rights. The work at home mom masters course will show you how to create a home based business about what you know and love. Case studies of 4 moms who own an online business website. SMD client info form. Establish a communications with SMD contact and client information for. Social Media Detroit is your management source for social media. 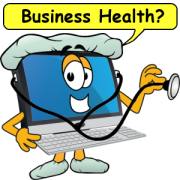 Keep your online business on track, clean and up to date with professional management system. Social media services include set-up, management and monitoring of your social media accounts. Social Media Detroit is your management source for social media. Keep your online business on track, clean and up to date with professional management system. Social media packages enhance your online business with management and marketing of your social media accounts. Welcome to Social Media Detroit. Our management services help you grow your social networks and market your business. Website Conversion Secrets Ebook Increase Profits and Click Through Rate. Website Conversion Secrets a well written ebook covers 40 tips that you need to boost your click through rate and increase profits. Master Resale Rights included. Appendix navigate to find your EasyBlogs pages,images and support files. Tutorial teaches content management techniques for EasyBlogs editor software..
Business Listing Tool scans Internet for customer reviews and checks online presence rankings. Learn how to get listed in dozens of review sites, maps, apps, search engines. Learn how to start your own website design business. Tools and instructions for starting your own website building business. 178 things you need to know. Social media books in Amazon. Learn about Twitter, Facebook, LinkedIn, YouTube marketing. Top rated books on the matter of social media marketing. SBI eLearning online school teaches you how to build an Internet business with Site Build It. 10 week e-course includes online instructors and website tools. Search page results for Best Website Tools.com. Find pages on this website or on the Internet. Make your first sale in 72 hours. 5 easy steps to get your home based business moving. Website package terms and conditions. Everything you need for online business including tutorials and success. Learn how to contract a website build. Picture quality is color, contrast, clarity, composition and continuity the 5 Cs. When you can answer yes to all 5 C questions you will have a well balanced picture worth a thousand words. Do you have computer problems and want to know how to solve them? Learn about computers, software, tools and the steps to fix computer problems. Article Template Modification for EasyBlogs templates. Add meta tags, RSS Auto Discovery and Google Adsense to your web pages. EasyBlogs template system for SBI Rss tutorial. Learn how easy EasyBlogs is to use, graphic and illustrations about using the templates. Create articles howto. SBI Rss tutorial, learn how add articles to your Easy Blogs, step by step graphics and illustrations about using the software. Article meta tags Learn how to automatically populate keyword and description meta tags in Easy Blogs. My Solo Build It review. SBI is the real deal. Thoughts and opinions about how SBI has helped my online business. Written by a real person. iPad video Lessons, tutorial and instructions teach you how to master the Apple iPad. Learn tips, tricks and time saving techniques. Article marketing business tools can revolutionize your Internet business. 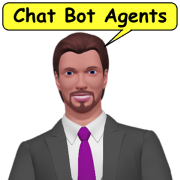 New software Article Marketing Robot the only all-in-one software can generate, spin, submit to and organize your article directories. Answer: Blog and Build the perfect website with SBI and Easy Blogs. You need Easy Blogs to build a website and Rss Blog It! to syndicate your feeds. Lets Get Social is the course you need to become a social media manager. Many companies need professionals to manage their social business accounts. Learn how to become one here. WAHM It, or Work at Home Mom masters course. Learn how to start a home based business and contribute to your family income. EasyBlogs CSS template shows you how to build your own blog. 3 column template combines css with SBI for a complete website building tool. Drop shipping pros and cons can help you decide if this is right for your online business. Important information for all suppliers, sellers, and entrepreneurs. SBI New template for Site Build It websites contest is on. Our first entry is a team color theme for the Sports category. See how to use 2 colors to create a website design. SBI Contact me page for SBI Rss Tutorial. Put a blog launch platform on your Site Build It website and watch your search engine rankings blast into space. Easy Blogs FAQ frequently asked questions and answers. SBI Rss Tutorials for Easy Blogs template and your website. SBI Rss Articles and tutorials teach you how to use the Easy Blogs software and its applications. Options settings guide. What Easy Blogs page (s) are created. SBI Rss tutorial, learn which pages are created and what to upload and what to re-upload. Step by step graphics and instructions for using the software. How set up a category with EasyBlogs. SBI Rss tutorial, learn how easy EasyBlogs is to use, step by step graphics and illustrations about using the software. Categories template codes SBI Rss tutorial. Learn how to properly code your navigation menus to display categories, step by step graphics and illustrations. Articles howto is a tutorial for creating article pagetypes in Easy Blogs. Learn about formatting, code settings for generating RSS-able articles and article teasers. Use Social Media Resources to find information, resources and tips. Get a reciprocal link exchange with Social Media Detroit. About SMD, how we came to be and why we are your choice for social media management. Learn how we can help your social media accounts and improve your marketing. Right column menu is a great way to add navigation tools to your SBI website. Learn how to build a flyout menu for your SBI website. How to add, remove or modify the orange rss button from RSS/BlogIt to EasyBlogs. Step by step instructions show you how this is done. What could be better than blogging? Enter SBI 2.0 a content creating application for your website. Learn how to get your visitors to create content for you. See How SBI 2.0 can build your social network. Independence Day Celebration by SiteSell - get 1 Site Build It subscription and get a second during this summer celebration. Build an online business and declare your own independence. Ann Sieg's Attraction Marketing Manifeso reveals tips and techniques she used to grow her home based business on the Internet as a network marketer. An SBI Valentine, show your passion with the gift that keeps on giving, Site Build It! The only all in one website building tool that you can share with the one you love. Blog website platform, Easy Blogs and Site Build It. Herbal Fat Burners, a new concept to completion analysis for modern website building. Top 10 tips to optimize your writing for readers. Write for your readers first, then for search engine optimization. Proof reading tips to improve your articles. What prospects want, might surprise you, heres why. Top 10 blog traffic tips to increase readers and conversion rates. The Blog Mastermind let out these secrets to his success. Now you can earn a living as a pro blogger too. Learn article writing for search engine optimization and directory submission. My Article Submitter submits to over 163 directories. Techniques to rank high in the search engines. free form page allows webmasters to include special effects or on off website pages. Use the Easy Blogs SBI Advanced Options to get the most content and number of pages into your blog. Mini tutorial teaches what each option does for your content. Compare on site blog with SiteBuildIt Rss BlogIt. Two blogging platforms that grew up together. 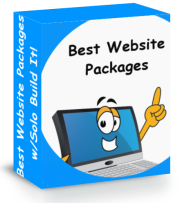 SBI Tools has everything you need, all in one place, to build your web business. Site Build It helps you build content, get traffic, add professionalism and how to monetize. SBI 2 Template for Easy Blogs. Generic 3 column template combines Easy Blogs HTML editor for easy content creation. SBI 2 point 0 Visitors Build Online Business Website for You! SBI 2 point 0 takes online business building to a whole new level. SBI, already a powerful website builder recently upgraded, is web 2.0 only better. SBI Rss Proof - Google Results in 30 days. SBI Rss proof that Easy Blogs Launch platform really gets results. SBI Rss Blog ranks number 1 in Google in under 30 days. Learn how to do it yourself. SBI EasyBlogs features give you the functionality of creating articles, archives, categories, blog posts and complete websites. The content management systems and editors organizes your website, pages and navigation . SBI Blog Launch Platform is the tool you need to create multiple blogs, build websites and launch your rss feeds to the world wide web. SBI Css templates are a perfect match for Easy Blogs. Get total control of your web sites with up to 200 blogs. Easily modify your templates with style sheets and include files. The new SBI transition templates are css driven 3 column website designs. Update your look and feel of your website for more space, faster load time and better appearence. SBI boxstyles template for SBI Rss tutorial. Learn how easy EasyBlogs is to use, step by step graphics and illustrations about using the software. SBI default template for SBI Rss tutorial. Learn how easy EasyBlogs is to use, step by step graphics and illustrations about using the software. SBI graphic template for SBI Rss tutorial. Learn how easy Easy Blogs is to use, step by step graphics and illustrations about using the software. SBI graphic template 2 for SBI Rss tutorial. Learn how easy Easy Blogs is to use, step by step procedures and graphics to use the software. SBI top bar template for SBI Rss tutorial. Learn how easy EasyBlogs is to use, step by step graphics and illustrations about using the software. Compare WordPress vs. Easy Blogs and Site Build It! Compare WordPress with Easy Blogs and Site Build It! feature for feature and cost. Learn which blog platform comes out on top. SBI RSS Contact form. Use this form to make inquiries about SBI Rss Tutorials, EasyBlogs and Site Build It templates. Best Website Tips for a successful online business. Learn about cool tools, articles tips and techniques for website design build and Internet presence. 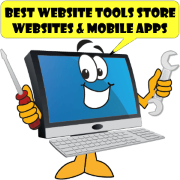 Best Website tools for Internet tools and mobile apps. Articles, strategy and how to techniques for website and mobile devices design and build. Build, style and publish Mobile apps platform. Support for Miappmaker, syte and publish on our account. Looking for great web hosts, use these tips to help you select the right one for your website.